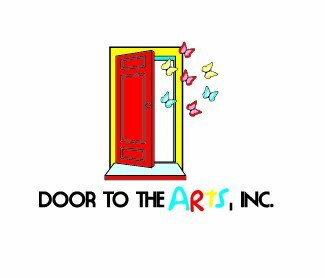 WELCOME TO DOOR TO THE ARTS "Bringing the Love of the Arts to your Door! All classes take place at the school/organization location. For information about uniform requirements, please visit the program page (click on the program next to the slide show on our homepage). I. I hereby give consent for my child/ward to participate in the program that I have listed above. II. I know of and acknowledge that my child/ward knows of the risks involved in participation in this program and choose to accept any and all responsibility for his/her safety and welfare while participating in this program. With full understanding of the risks involved, I hereby release and hold harmless Door to the Arts, Inc., the school participating in the program, and any location where the program may be held, of any and all responsibility and liability for any injury or claim resulting from such program participation and agree to take no legal action against Door to the Arts, Inc., the school participating in the program, and any location where the program may be held, because of any accident or mishap involving the participation of my child/ward in this program. ambulance for said child should the DTTA instructors or staff members deem this to be necessary. I will be responsible for any charges or costs incurred for rendering such medical assistance. II. My child is physically able and mentally prepared to participate in the DTTA program that he/she is registered for. My child has NO medical conditions or ailments that may affect his or her ability to participate in DTTA programs. Unless otherwise specified, all Door to the Arts programs are one year programs (September-May). I agree to pay the tuition for the entire year by following one of the 3 payment options outlined below. Our system will automatically post the monthly tuition on your account. To set up semi-annual or annual payment, contact our Finance Director mleyva@doortothearts.org. 8 Monthly Installments: Monthly charges are from September - April, credit card or bank information must be entered in Parent Portal profile. At registration, your account will be charged a one-time $30 processing fee and any additional course fees. Bi-annual: 1st payment at registration, 2nd payment due January 15th., credit card bank information must be entered in Parent Portal profile. Account will be charged ½ the tuition plus the any additional course fees. Our Finance dept. will adjust the tuition and apply the payment. Annually: Full payment at time of registration. Registration is not complete until payment is made. Checks are only accepted for Semi-annual or Full-Year payment. Please make checks payable to "Door to the Arts". Checks may be left in a sealed envelope labeled "Door to the Arts" at the school office. Monthly payments must use the automated withdrawal system. I hereby grant Door to the Arts permission to use mine or my child's likeness in photographs and video in any and all publications and in any and all other media, whether now known or hereafter existing, controlled by Door to the Arts, in perpetuity. I will make no monetary or other claim against Door to the Arts for the use of the photographs or video. RETURNED CHECKS: There will be a $35.00 NSF fee assessed for all returned checks and credit card declines. NON-REFUNDABLE: All monthly set-up fees, costume and supply fees are non-refundable. LATE FEE: $15 late fee for tuition received 30 days after due date. WITHDRAWAL: Partial refunds are available on a case by case basis. Written request via email must sent to our Finance Manager at mleyva@doortothearts.org. REFUNDS / DEPOSIT RETURNS: Please submit written request to our Finance Director at mleyva@doortothearts.org. Allow 2 weeks to process any refunds. AFTER-CARE CHARGES: Students who are not picked up at the end of the Door to the Arts class will be taken to aftercare. School aftercare charges may apply. If no after-care is available, there will be $1 charged per minute after dismissal time. Chronic late pick-up is subject to removal from DTTA program. DISCIPLINARY REASONS: DTTA reserves the right to remove a student from a DTTA program for disciplinary reasons.